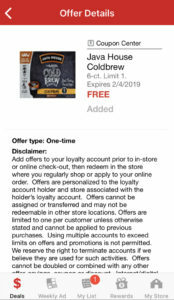 Acme: FREE Java House Brew Coffee Thru 2/4! 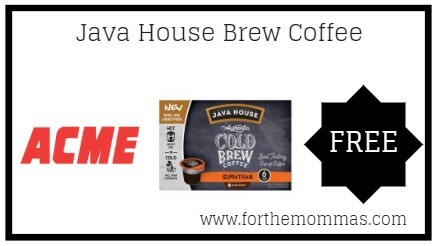 Starting 2/4, Acme has a great deal on Java House Cold Brew Coffee. It is priced at $3.99 each, plus we have a Just For U digital coupon to stack with this deal to make the final price FREE! !